From Burke: take Braddock Road to Burke Station Road. Go to end of Burke Station Road, cross over Route 236 into Fairfax Square office complex. We are in the back left of the office complex. From Annandale: take Route 236-Little River Turnpike West, will become Main Street. 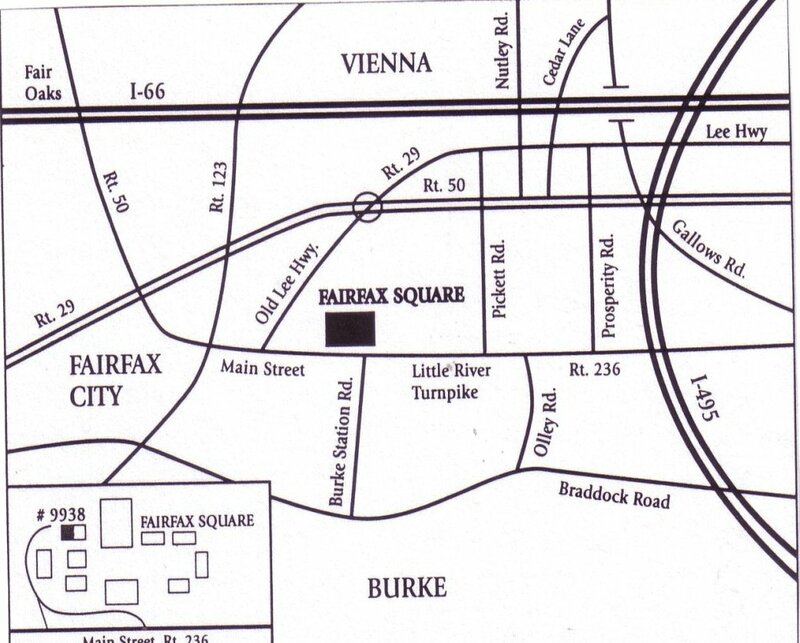 5 miles outside of beltway, at Burke Station Road, turn right into Fairfax Square. We are in the back left hand corner of the office complex. From the Beltway (I-495): take exit 52A(Route 236-Little River Turnpike West), stay on Little River Turnpike, will become Main Street. 5 miles outside beltway, at Burke Station Road, turn right into Fairfax Square. We are in the back left hand corner of the office complex.